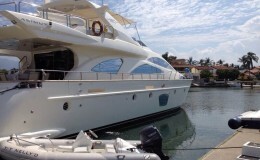 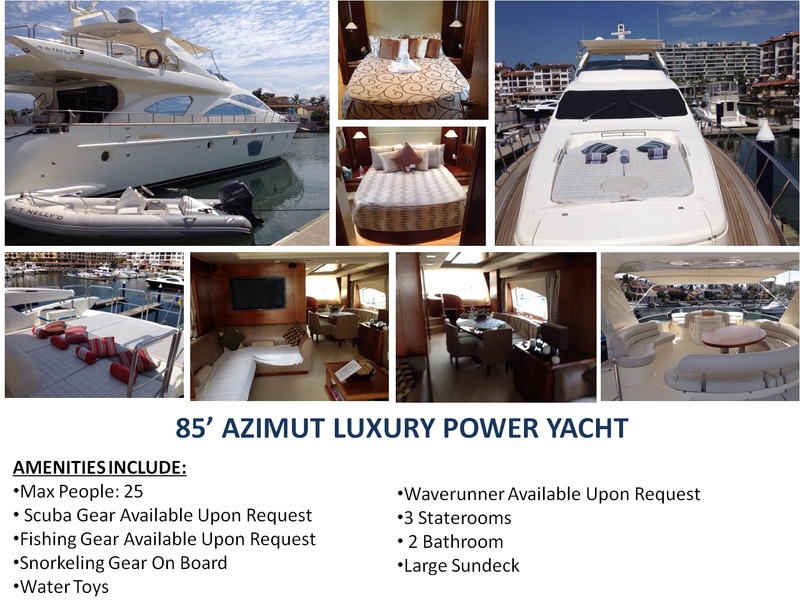 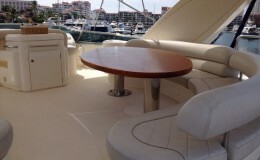 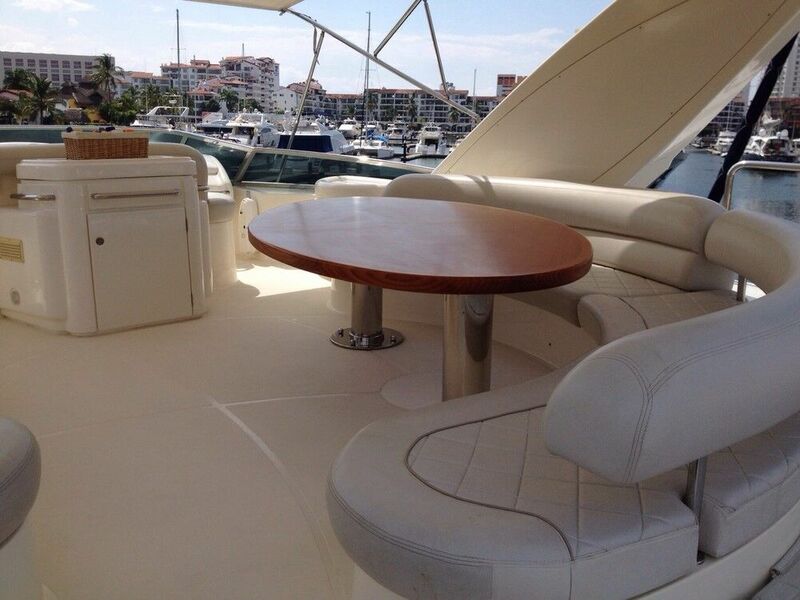 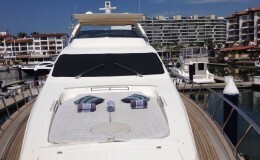 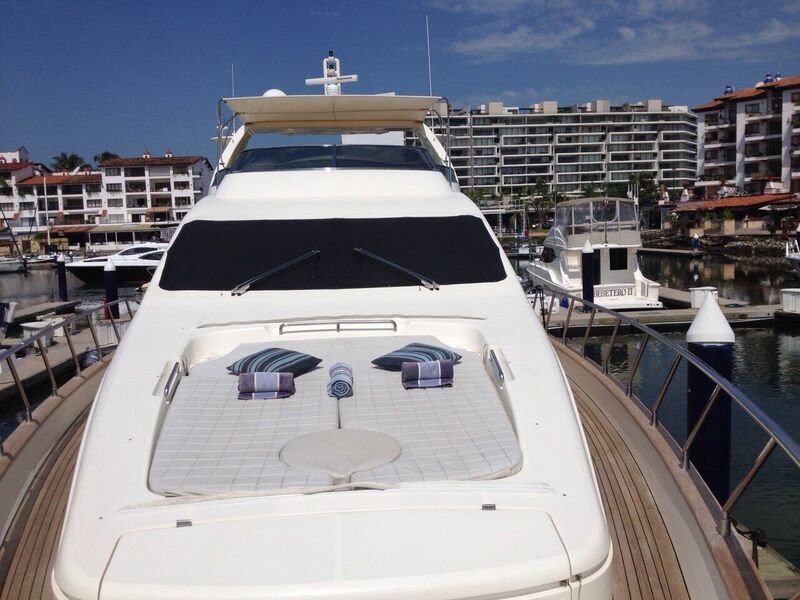 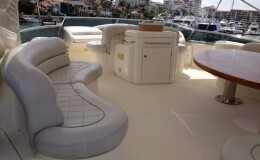 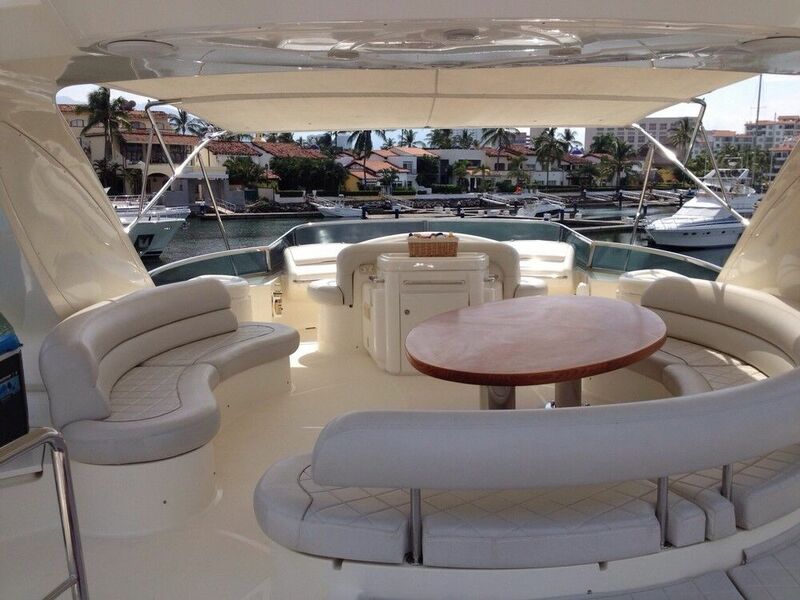 The spacious Azimut 85 is a great boat for entertaining. 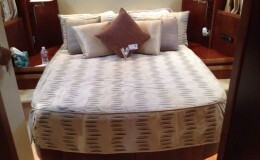 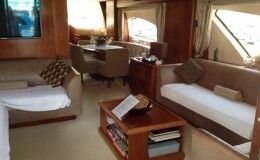 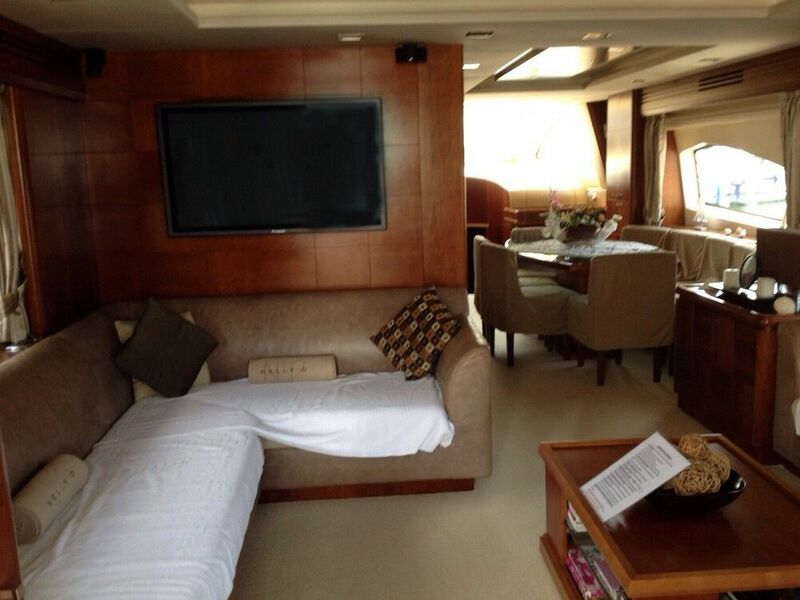 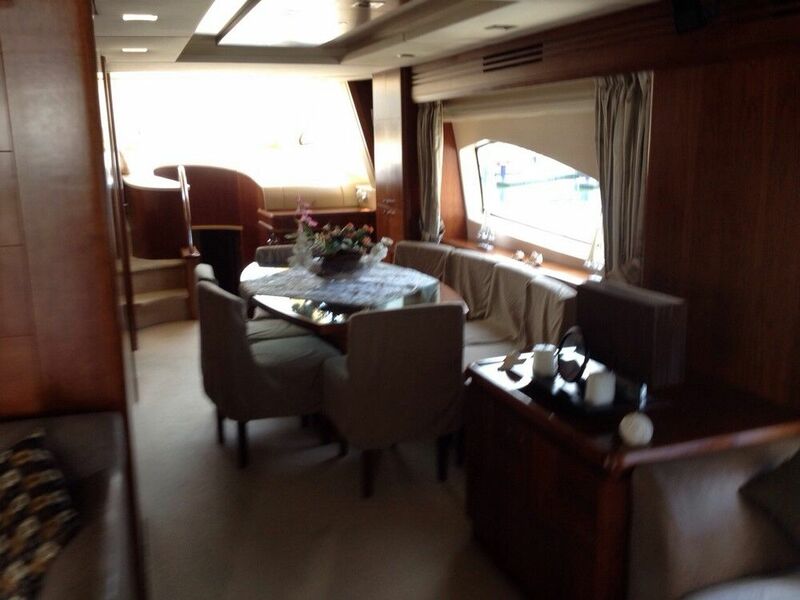 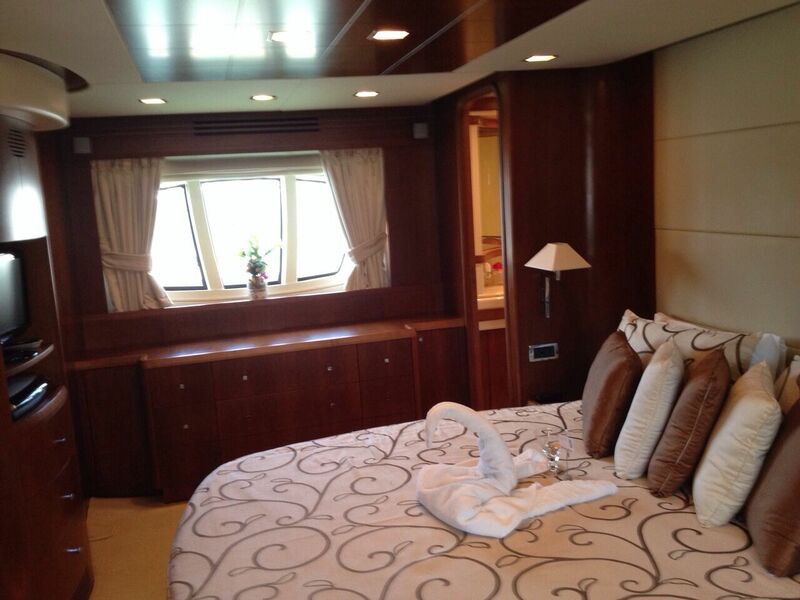 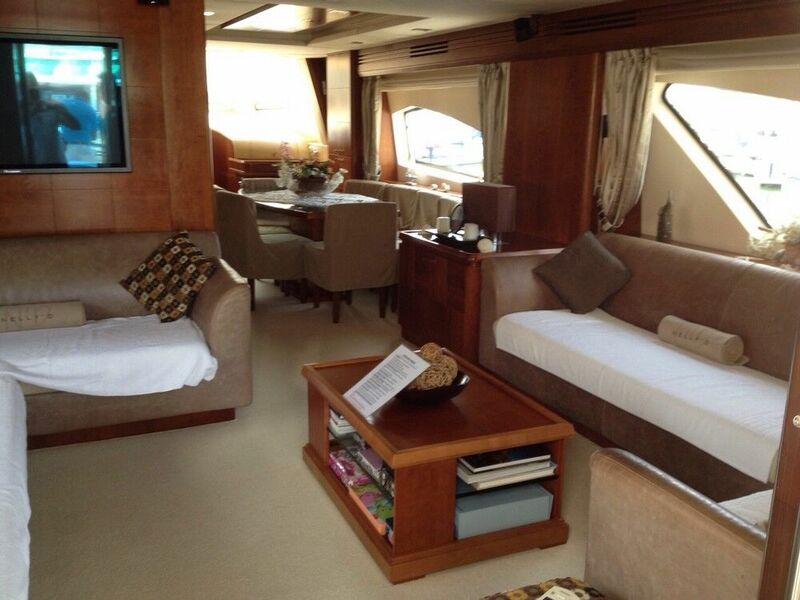 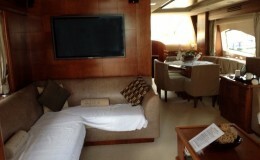 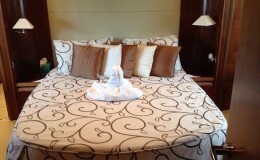 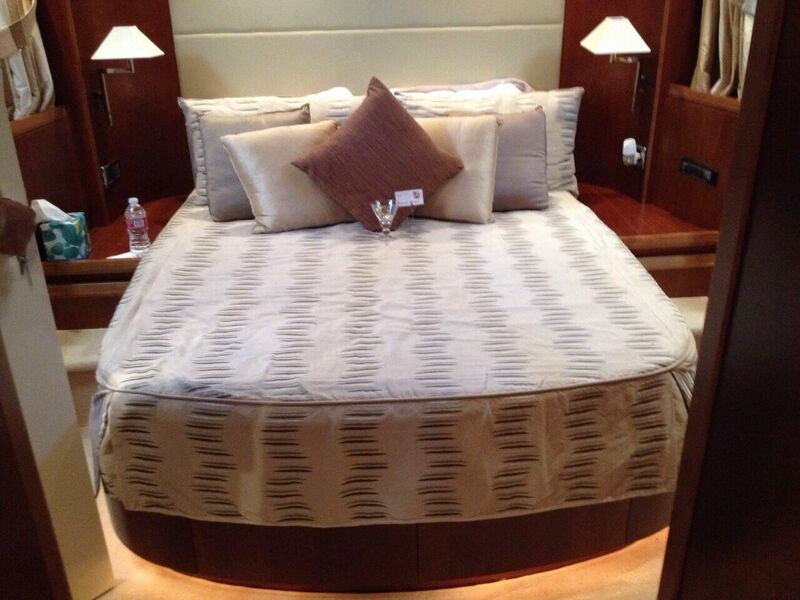 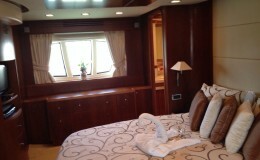 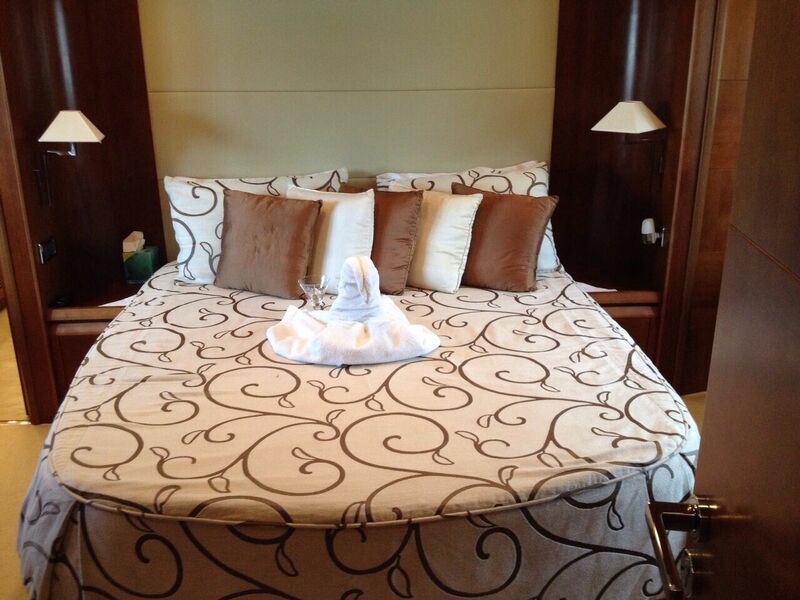 The main cabin features a lower and upper salon, incorporating a large, open plan galley and comfy lounge area. 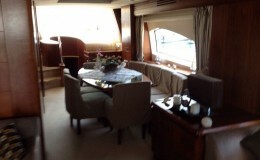 The dining area is roomy with formal seating and an extensive sofa lounge in the living area. 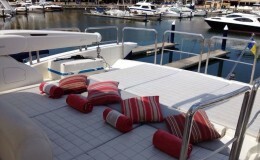 The fly bridge is vast and provides sunbathing areas on the sun deck and surround seating for dining, drinks and entertaining. 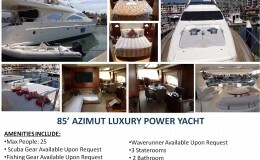 There is a twenty-five guests maximum for day charters and an eight guests max for overnight stays with four available cabins and three bathrooms. 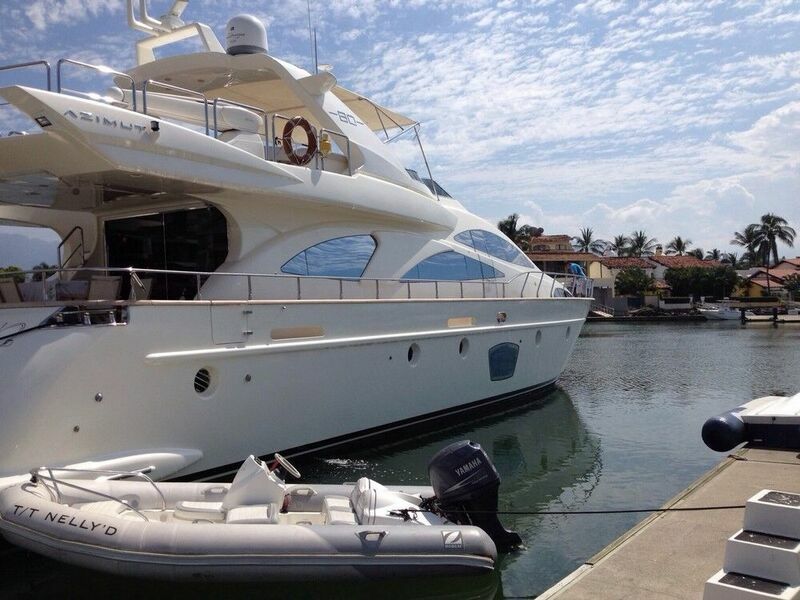 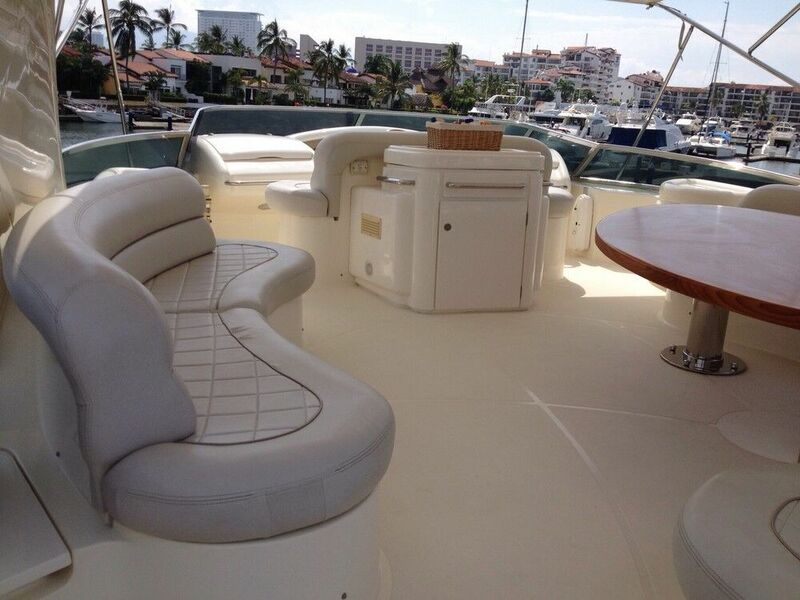 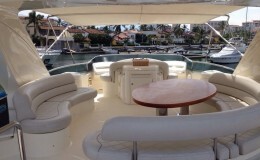 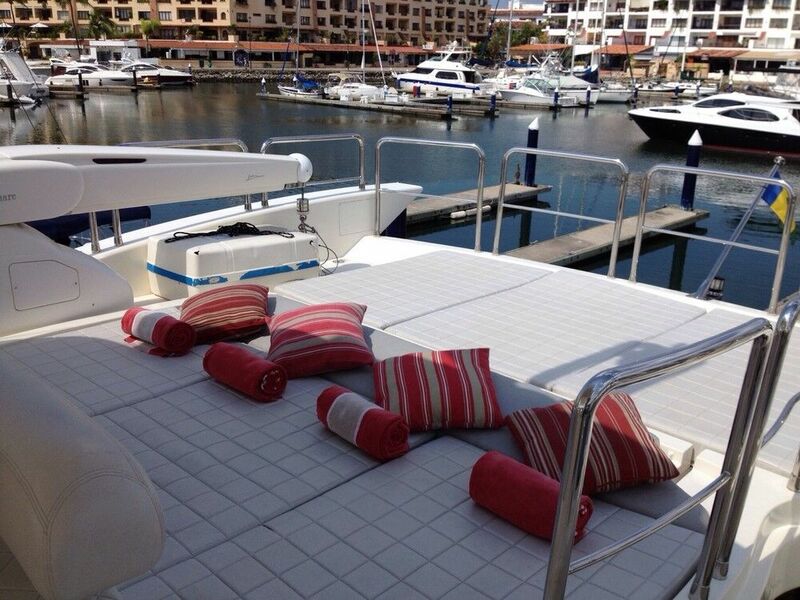 Catering, open bar and water toys are available with all charters.